1909-1911 autograph album of Edna Johnson of Bethel, Minnesota. 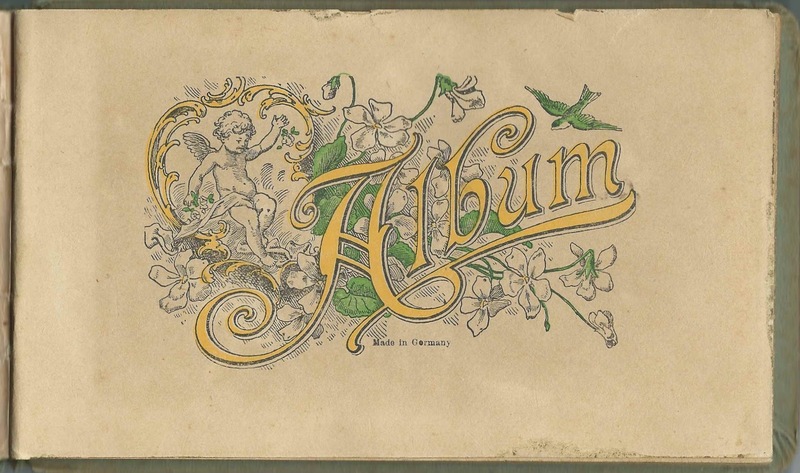 The album appears to have sentiments from Edna's fellow students, perhaps her teachers and a few others, including her sister Jennie. Edna didn't sign her name in the album, but, conveniently for me, one signer, who I believe was Mr. L. E. Ridge or Mrs. L. E. Ridge, inscribed a page to "Edna Johnson". 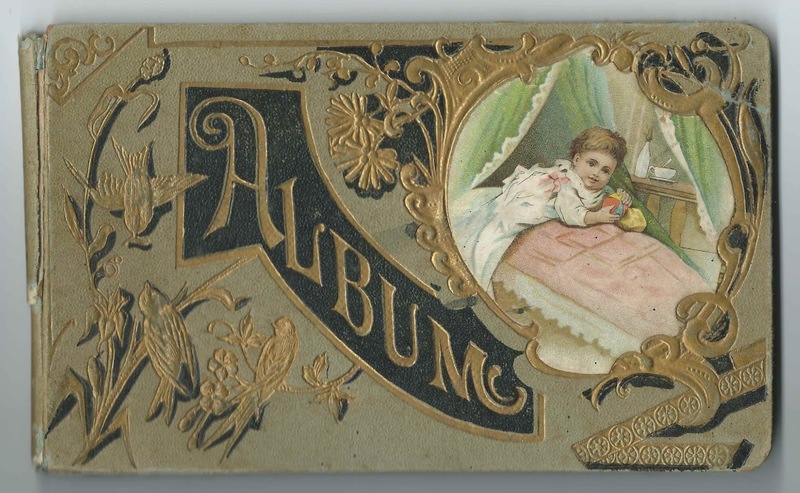 The album measures approximately 8-1/4" x 5" and contains the sentiments of 39 of Edna's friends and sister. An alphabetical surname list and an alphabetical list of the signers, together with any personal information they offered, appear at the end of this post. Edna Johnson was born February 2, 1887 in Minnesota, the daughter of Swedish immigrants John and Johanna Christina (Swanson) Johnson. It appears that Edna's mother died sometime between 1900 and 1910. 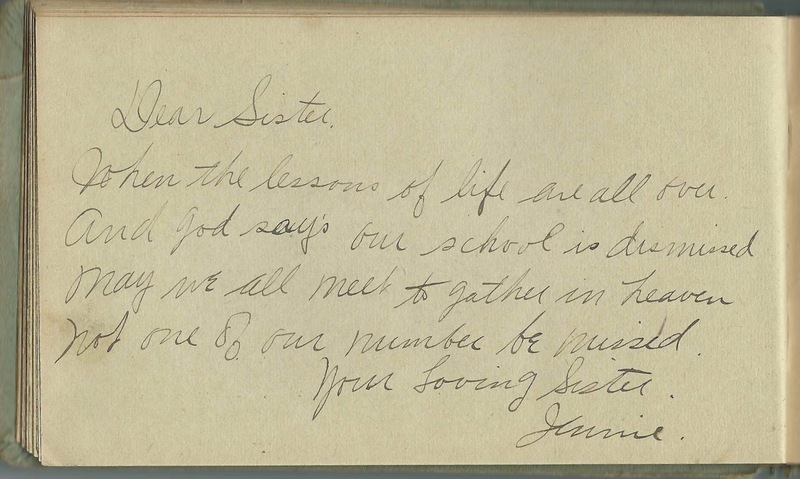 Edna's older sister Jennie inscribed a page as "Your Loving Sister Jennie". 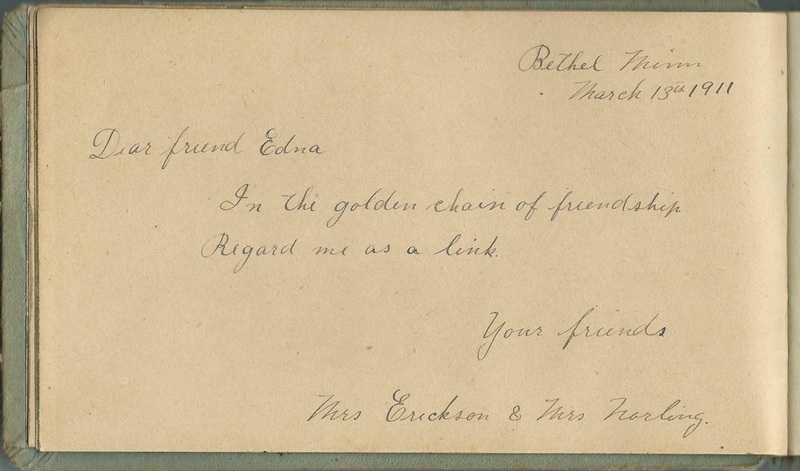 The Mrs. Erickson and Mrs. Norling who shared a page signed on March 13, 1911 at Bethel, Minnesota, may have been Edna's teachers. On March 12, 1914, Edna Johnson married John Jacob Rathbun. They settled at Anoka, Minnesota, and raised at least one child, a son. Edna and John both died in the 1970s. If you have corrections and/or additions to the information above, or information on any of the signers listed below, please leave a comment or contact you directly. A. S. C. or A. S. G., signed on December 30, 1909; mentioned word "brother"
Alice Meline, signed at Bethel, Minnesota, on February 2, 1911. Was Meline a middle name or a surname? Alice Meline, signed at Bethel, Minnesota, on February 2, 1911. Was Meline a surname or a middle name? Delia Swanson, signed at Bethel, Minnesota, on January 23, 1910; possibly related to Edna, as her mother's maiden name was Swanson.